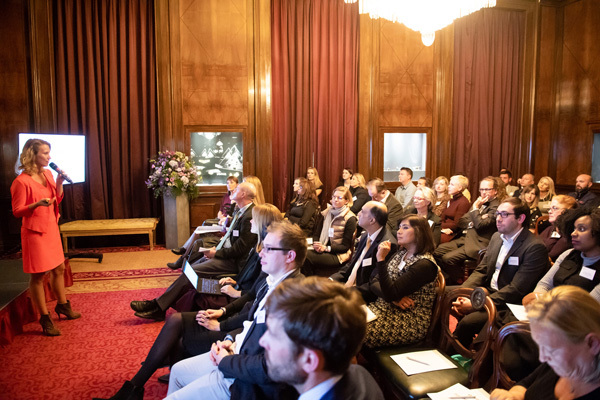 The 5th Inhorgenta Trendfactory in London has once again shown how important it is for the international jewellery and watch sector to share information all year round. 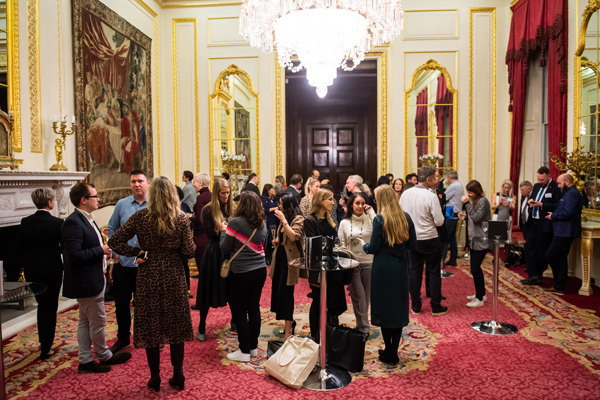 On October 30, 2018, more than 50 guests from trade and industry came to the historical Goldsmiths’ Hall to make new contacts and discuss future trends. The Inhorgenta Trendfactory is now an established forum for the sector, where companies can discuss current and future growth trends. Inhorgenta Munich, the international trade fair for watches, jewellery and precious stones, has been on tour with a series of events since 2015 and has previously stopped off in Hamburg, Cologne, New York and Frankfurt. “Jewellery creates an emotional bond between people. In this digital age, people still want to meet people, that’s why people still go to a trade show and go to retailer stores. People matter,” said Jo Henderson. Together with Paul Henderson, she founded the successful chain of jewellery stores Wave Jewellery in Great Britain. She has been running her own consulting company for the jewellery sector, JHJ Consultancy, since 2014. In her introductory speech, she talked about opportunities for retailers in the customer journey. 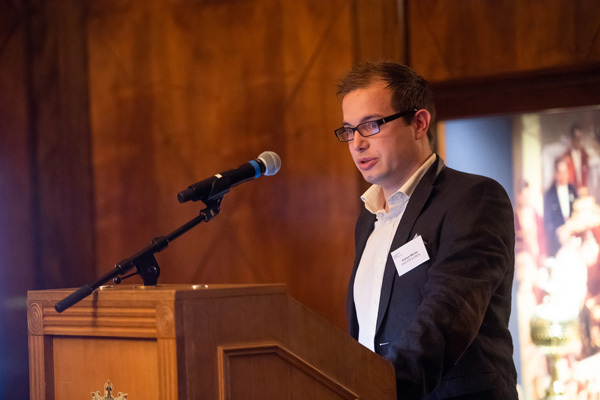 Andrew Warner, Managing Director of the internationally successful British jewellery and lifestyle brand Anchor & Crew, confirmed how important the Inhorgenta Munich and the accompanying events are for opening up key opportunities for growth in the European market. “We have tried a few other European shows but Inhorgenta Munich was the strongest, a truly international show. We didn’t have a German customer base before, since we first exhibited in 2015. Inhorgenta Munich played a key part in selling across Europe.” Warner reported on Anchor & Crew’s Europe strategy. Events such as the Inhorgenta Trendfactory are also becoming more and more important in light of rapidly changing trends. “Today, markets and trends are changing quicker and more radically than ever. Digitalization, e-commerce, the changing consumer habits of up-and-coming generations, a greater awareness of sustainable retail and new business models are all having an impact on the sector. It is therefore important for manufacturers, brands, retailers and we as a platform for the sector remain in constant contact in order to meet challenges together,” says Stefanie Mändlein, Project Manager for Inhorgenta Munich. The 5th Inhorgenta Trendfactory in London focused on sustainability- an issue which is becoming increasingly important even in the watch and jewellery industry. Many jewellery brands, including Harriet Kelsall and Anna Loucah, are relying on ethically sourced raw materials. During a panel discussion, Dr. Fabiana Di Lorenzo from the organization Levin Sources, which works to encourage the responsible production of raw materials, and Edward Johnson from the Responsible Jewellery Council, where more than 1,000 companies across the world have signed up to respect ethical, social and ecological standards, explained the importance of and opportunities for sustainable retailing in the jewellery and watch sector. “Responsible jewellery is a moving target, it is difficult to achieve perfection, and it is going to evolve with time. It is the consumer who is now expecting jewellery businesses to build responsibility into their management systems and protect the environment as well as people down their supply chain,” said Edward Johnson. The registration figures for the Inhorgenta Munich 2019 also reflect its relevance as an international platform for retail and industry. The latest figures show that the number of foreign exhibitors alone has increased by an impressive 43 percent since 2018 (as at: October 2018). To date, a total of 948 companies and brands have registered for the forthcoming sector event in Munich from February 22 to 25, 2019. This represents an increase of around 20 percent compared to the same period last year. The next Inhorgenta Trendfactory will take place in Zürich on November 6, 2018, with digitalization and e-commerce on the agenda. Inhorgenta Munich strengthens its profile in.